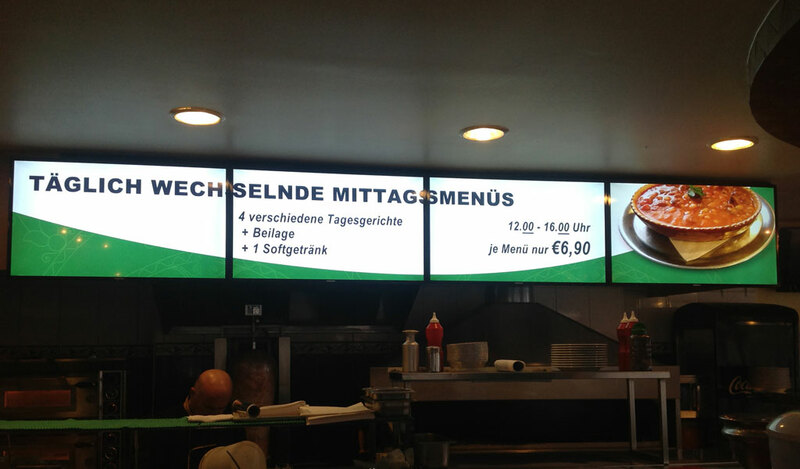 Digital menu boards have many advantages over the traditional printed menus. Restaurants are adopting digital menus at a fast pace across the region. 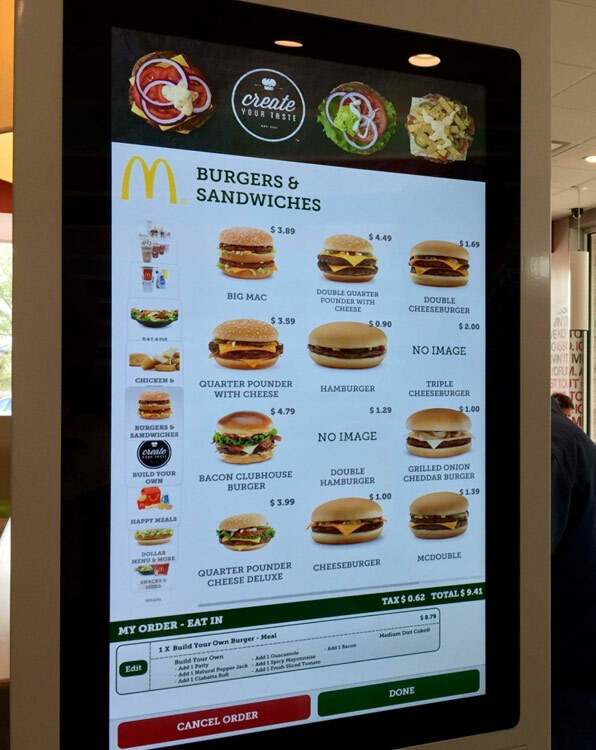 In today’s digitally advanced market handing over your customers a static menu board as they walk in to your restaurant is a big let-down factor. Clients in today’s time expect a digitally dynamic content wherever they go. 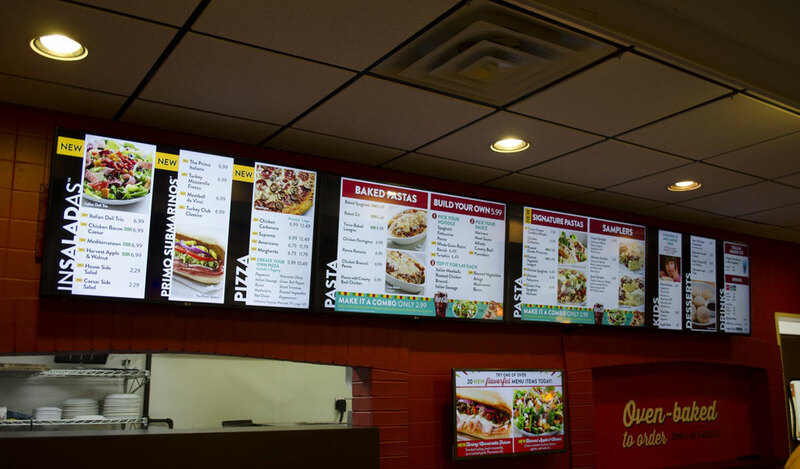 Digital menu boards hence are a necessity that you should include in your restaurants. These magical boards help in persuading patients and encourage them to order more food items. 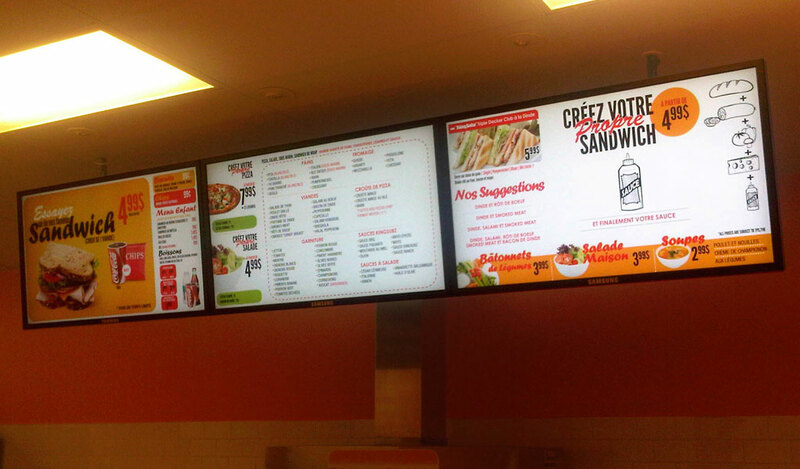 Digital menu boards help in appealing clients by displaying attractive visuals that excite one’s appetite. It can be either through attractive images or a well-shot video. With digital menu boards you can showcase the offers and discounts directly on the menu boards. While earlier it was required for restaurant owners to print a new offer after every few months, digital menu boards eliminate this concern and helps you create offers that can attract customers and also drive your sales. 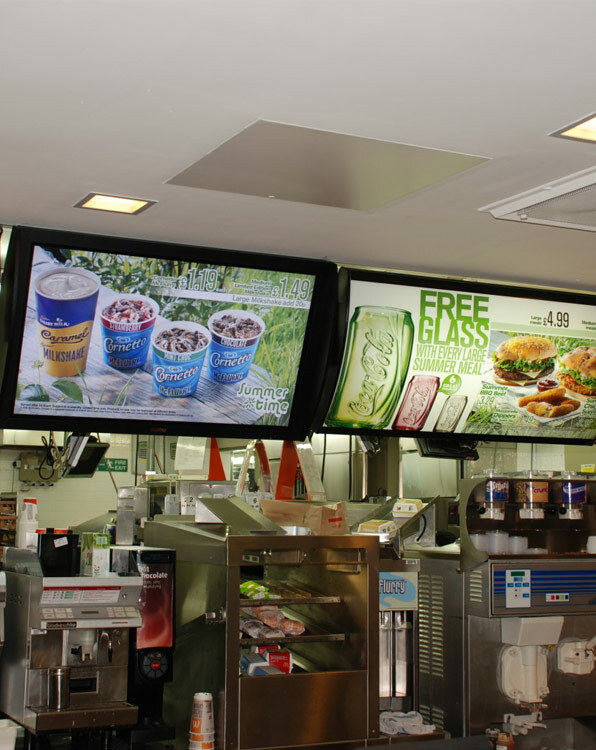 Through digital menu boards you can adopt the upselling policy and improve your sales figures. Menu boards let you increase the footfalls in your stores due to their appealing characteristics and let you create a positive impact on their minds. The beauty of Digital Menu Boards is that it can be used indoor as and outdoor as per the nature of the content. It is extremely flexible and easy to use and understand. The quality of the picture can be enhanced through high definition content and the image of the restaurant can be modified with modern look and feel. Viewing experience can be enriched by introducing animated graphics and video. This makes the board interesting and appealing. The same space can be made cost-effective by using and rotating different menu items on the same display. Many customers can be attracted to targeted items with multimedia graphics in motion. Creativity and graphic designing on the menu board spell a magic on the audience. Sales can be increased by cross selling and up selling, by doing this, unnecessary printing, installation costs and delays can be eliminated. Modern designs of digital signage menu boards appeal to the customers, this paired with creativity, and advertisement seems irresistible. It helps to communicate the message more easily and effectively. Scheduling your menu content for different times of the day is the latest feature offered by MindSpace Digital Signage in customized digital signage menu boards without charging for printing, delivery or installation of the boards. Digital Menu Boards are among the most innovative interactive tools in the recent years and have been working wonders at restaurants, cafes, lounges etc. An appealing display of items from the menu on a digital signage menu board makes it easily accessible to the customers. A customer can have a look at the entire menu in just a glance and also be easily convinced to make a purchase seeing that attractive image of his favorite dish! Having a digital menu board is saves a lot of time and manpower. The time that was once taken to give the menu, give suggestions, take the order place the order, submit bill, collect payment and give the receipt has now just cut down to an on counter order placement system. Now you can save time, menu printing cost and manpower with help of a digital signage menu board and make it hassle free. Digital Menu Boards help in reaching vast audience proving to be extremely cost effective medium than others. Digital Signage Menu Boards optimize your advertising content and impact without leaving a whole in your pocket. Content can be organized appropriately and items which are slow selling can be pushed creatively for more visibility. 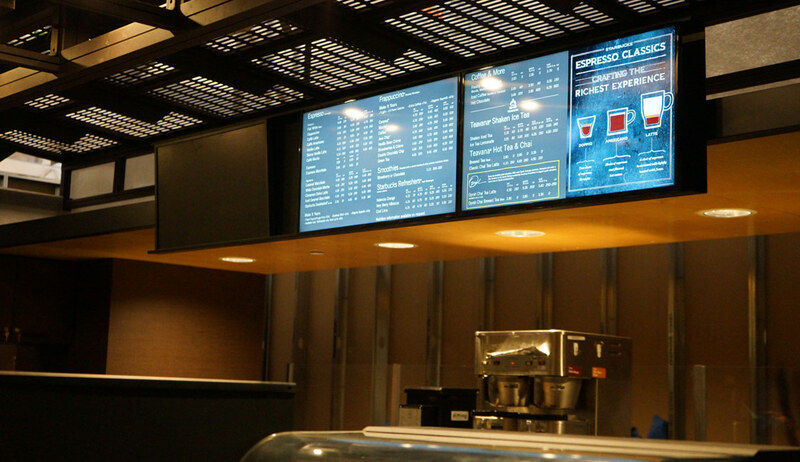 Interaction with the customers can be seamlessly done through digital menu boards. The content can be promoted according to the flow of stock.